Thursday 29th January between 1 – 2.30pm event at the University of Bolton. 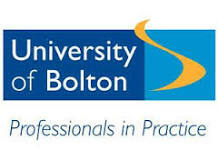 The venue is the University of Bolton, Chancellors Building, in the Student Learning Zone . Address is University Way, off Deane Road, Bolton BL35AB. Seminar on Youth Services and Young People with Piers Telemacque NUS Vice President and local organisation representatives: BYHPS, Raise The Youth, Bolton at Home and Bolton Council. Julie Hilling MP and other representatives of political parties will be there to support the need for youth services, and answer questions. All welcome to join in the debate!